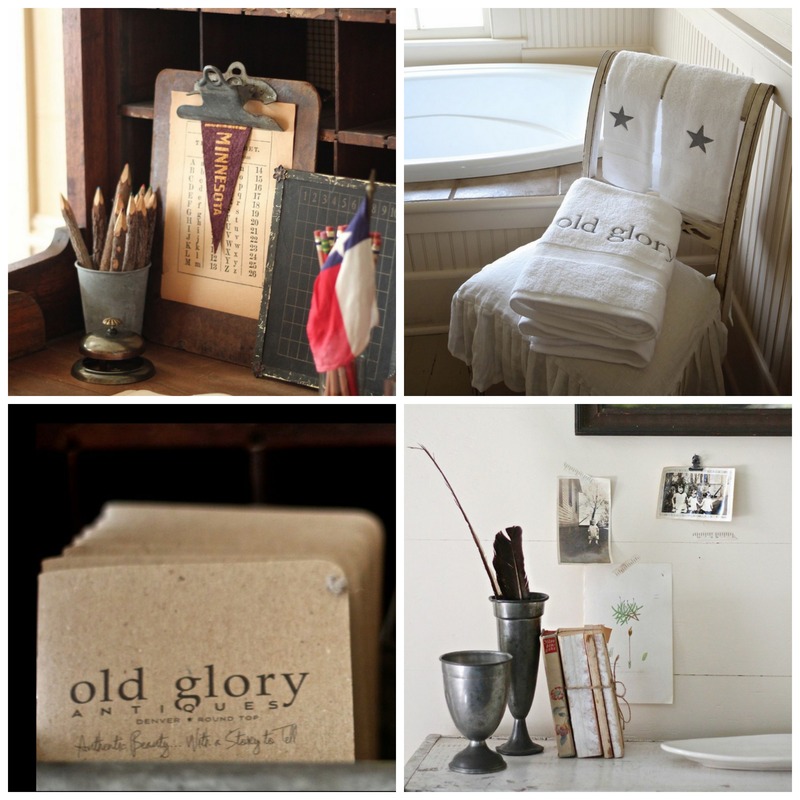 Earlier this year I started working on a project in Burton, Texas, for Holly Kuhn owner of Old Glory Antiques in Denver. I first blogged about it here and here. Holly and her husband Brian have been coming to the Round Top Antique Show for years and finally bought property in Burton for a shop and getaway home. 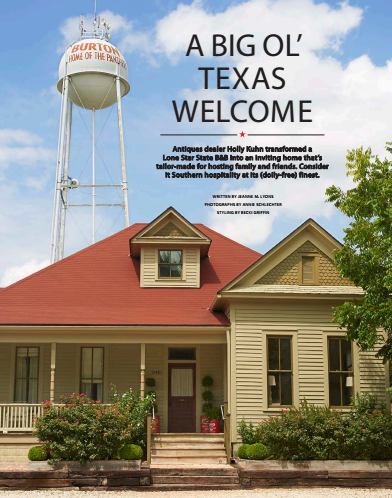 The property includes an old Dance Hall where they have their twice yearly “Old Glory Texas” pop up shop and also a two story Texas farmhouse that had been renovated into a bed and breakfast. The property has been renovated nicely but the decor did not reflect Holly K’s style so she called on me to help transform the space. 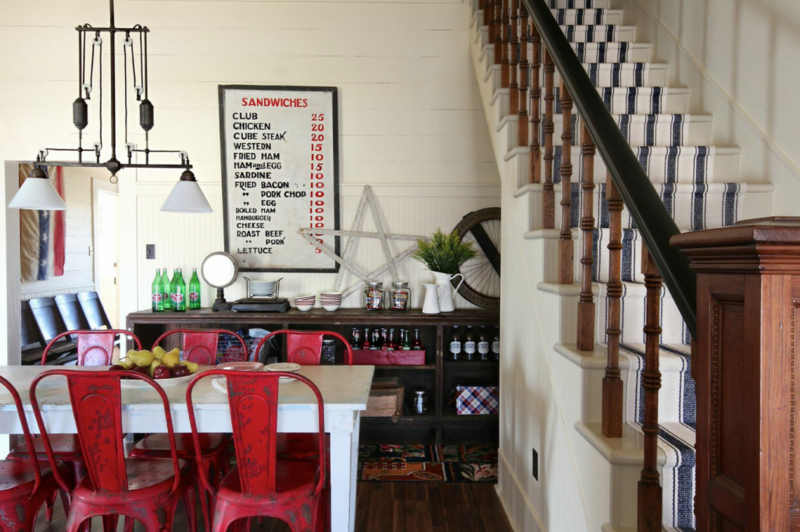 We worked via email and text to develop a plan to turn the “Old Glory House” into a space that showcased her antiques and style and was also a comfortable place for the Kuhns, their associates and friends to feel at home while in Texas. This was a fairly big project for me and tight deadline to get ready by the fall show so I called on friend and fellow decorator/stylist Becki Griffin of Curious Details to collaborate on details with me and be my sounding board. Becki came out and helped me move furniture around and develop a plan to pull the space together. 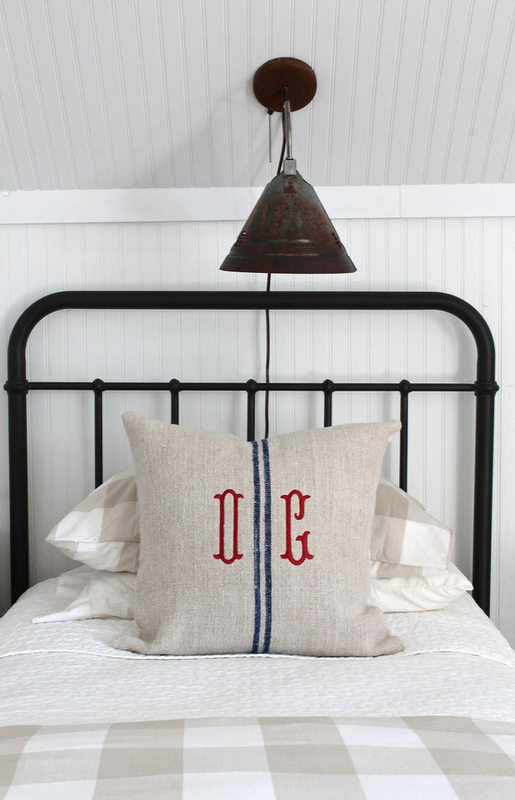 I knew I wanted lots of details like the Scout books for guests and monograms on pillows, shams and towels! Little things and big things to make every inch of this house just sing! Becki and I had the entire Old Glory Texas store next door to pull from as far as antiques and accessories. What I didn’t have on the premises I filled in with from a few of my favorite antique stores locally and big box sources. 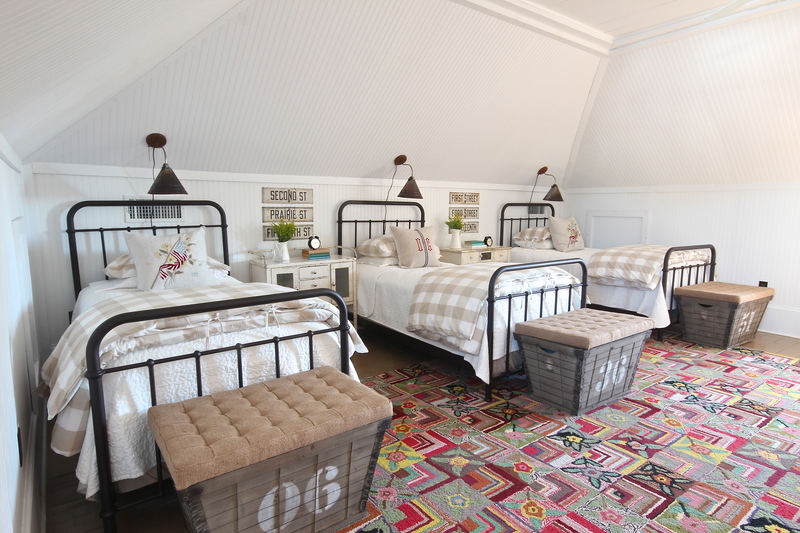 Like these beds in the bunk room from Restoration Hardware kids and bedding from Ikea. 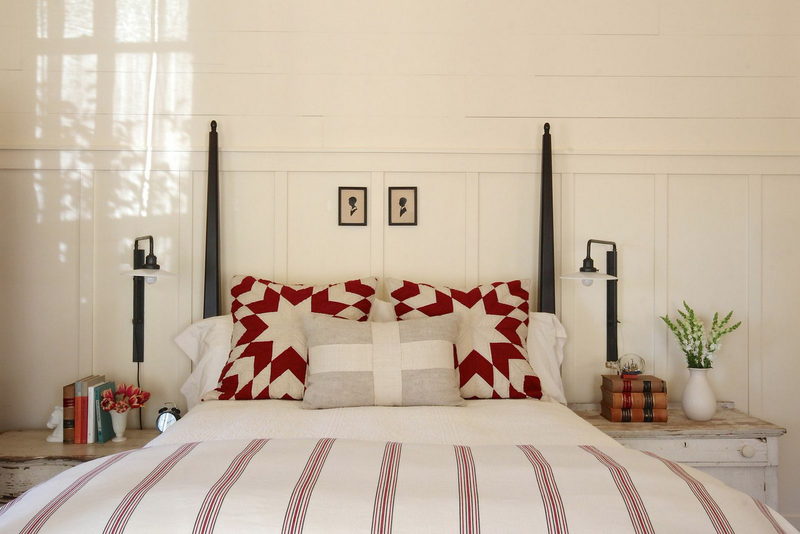 This room I used an new Amish made bed and Pottery Barn bedding..the side tables are Old Glory antiques and the lights are from Restoration. The silhouettes in this room are from my friend Kelly Evans’ Southern Gilt Antiques on Etsy and in Houston’s Antiques on Yale in the Heights! 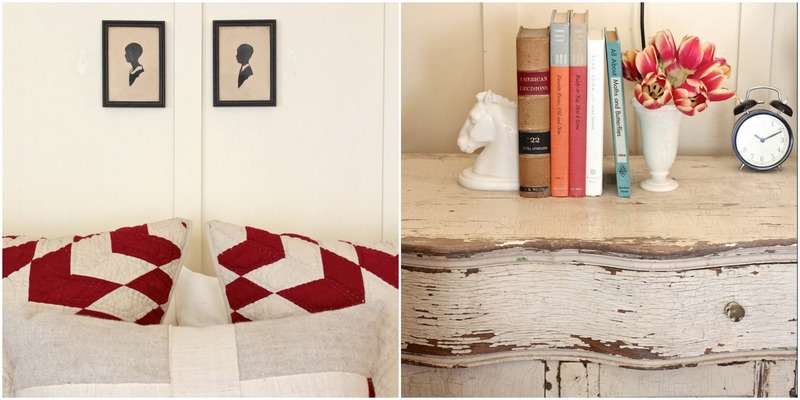 I love how Becki styled the nightstands just right. I could just go on and on about this project and probably will..there is just too much to talk about. So many rooms, eight in all including some bathroom fun! Country Living spotted the project on Instagram and before we knew it they were headed to Texas to shoot this project just as we were wrapping it up. My friend Becki who had been assisting me quickly changed roles on the project! Lo and behold Country Living asked her to the be the stylist for the shoot (smart people). She also took these photos for my portfolio! So Becki wore many hats on this project and did each with grace, precision and skill! And we are still friends! What a miracle! Becki and I have both talked about what a blessing this project was and truly has been amazing. Holly Kuhn was an angel to work with and well I hate to gush but it was just a dream project. So thank you Holly & Brian Kuhn, thank you amazing Becki Griffin, thank you Haulright movers in Brenham the best most patient men, thank you to Country Living’s Steel Marcoux and Page Mullins for appreciating our work, thank you to my mom for stuffing duvets and pillows, thank you to Kevin Gilmore of Oaks Renovation for your carpentry skills and patience, Heidi and Jason Jaster and the list goes on and on. Watch for more photos coming soon to the portfolio section of the blog. And if you haven’t seen the Nov issue of Country Living here is the article above! Also Becki did a great post here on the project with more images! I was so happy for you when I got my issue of Country Living and saw your work in it. Congratulations! checks and love that you use them often. Congratulations on this project. You nailed it girl!!!! Beautiful!!!!! I’ve been gushing to anyone that sets foot in my house (CL is strategically sitting on my entry table)! I’m so proud of you (and you, too, Becki-I WILL meet you one of these days) and can’t wait to see it all in person! Love you!!! Love the kid’s bunk room. Beautiful work. 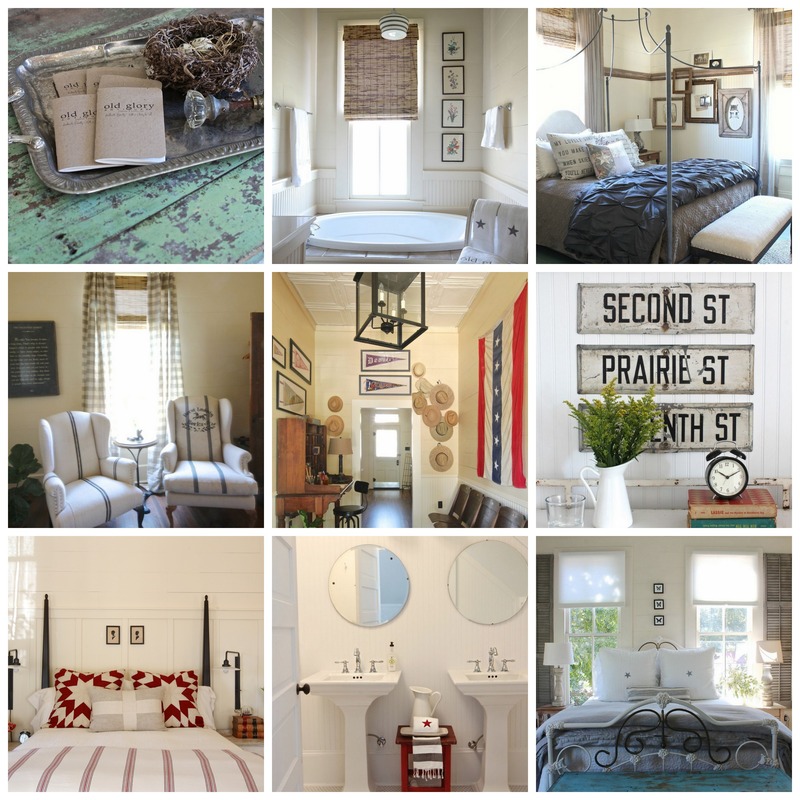 Love every bit of it – but especially those wingbacks and the sweet bunk room! Well done, as always!!! Love this, Holly! Those bedrooms are so dreamy!